How do I select and install my rainwater tank? Step 1: How much water can I collect in my rainwater tank? 1mm of rain falling on 1m2 of your roof provides 1 litre of water in your tank. 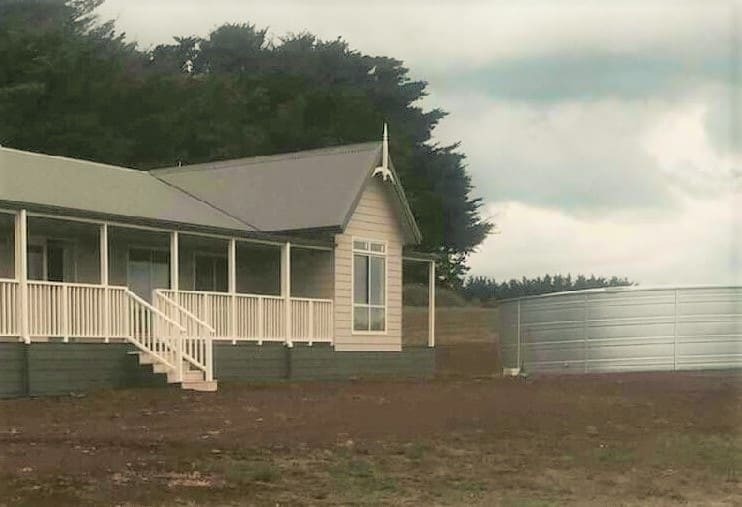 Using the average Australian home roof of 200m2, in a 500mm annual rainfall zone, you can harvest up to 100,000L of rainwater (200m2 * 500mm = 100,000L). This is a conservative estimate, as many houses are bigger and rainfall varies widely in different areas. It is always better to harvest more than you need, but calculating the most appropriate tank size for your needs is still an interesting exercise. Simply, multiply the length of your roof by its width to get its surface area (m2), then multiply this by your rainfall. You can find this out by clicking on our rainfall zone map. Use our calculator below to find out how much water you can potentially harvest each year and the additional amount you could collect if you install a Gutter System on your tank. Heritage Water Tanks unique Gutter Technology can save you up to 22% of your tanks volume in additional water collected each year. In order to work out the appropriate size tank for your needs, you will need to determine the amount of water you would use in an average year. Indoors, the shower is typically the biggest water user (34% of indoor water use in the average Australian home), followed by the toilet (26%) and laundry (23%). Therefore, effective strategies include choosing water efficient showerheads, toilets, appliances and taps. Outdoors, strategies include choosing local indigenous plants that are adapted for local growing conditions, mulching, and using water efficient irrigation systems. Around 40% of household water is typically used outdoors, and in some locations in Australia the proportion is much higher. Although all households vary considerably in relation to how much water they use, you can use the following information to help you to estimate your annual water use needs, (based on a family of four with a very small courtyard style garden). We discourage the sole use of rainwater for the maintenance of your gardens. If your only source of household water supply is rainwater, the volume of water required to maintain a garden is not practical. Consider a secondary supply, such as a bore or dam. The table below is a guide to average Australian household consumption only (individual household use will vary widely). In order to select a tank that suits your needs, you will need to compare your expected household consumption with the amount that you can collect from your total roof catchment area (including your house and any other plumbed-in sheds or outbuildings). A contingency of an additional 20% should be added to this to amount, to account for variations in annual rainfall. Step 3: Which accessories do I need? 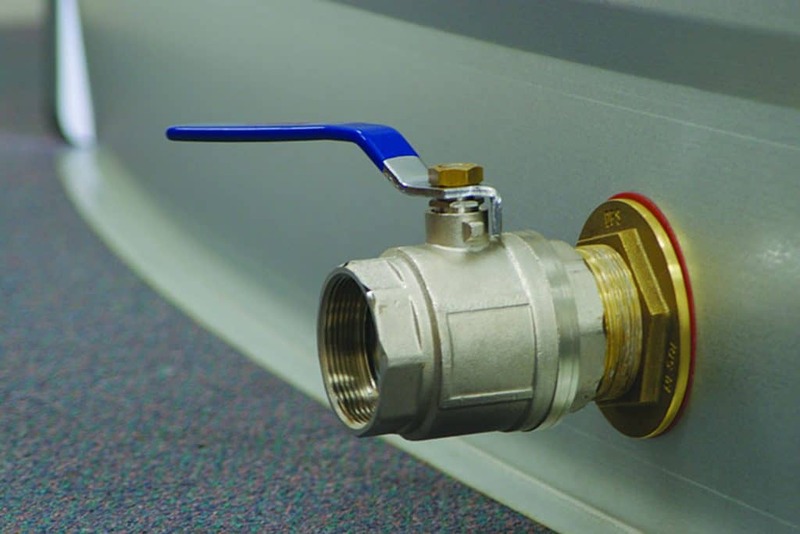 Do you need a Level Indicator or an extra Outlet Valve? Have a look at our Optional Extra’s flyer to see what we can offer. If you are unsure about what you need, talk to one of our sales advisors by calling 1800 115 552. Step 4: What's the best location for my rainwater tank? Ensure clear access for vehicles to site. Most installers will need access for a ute with a trailer or a small truck. 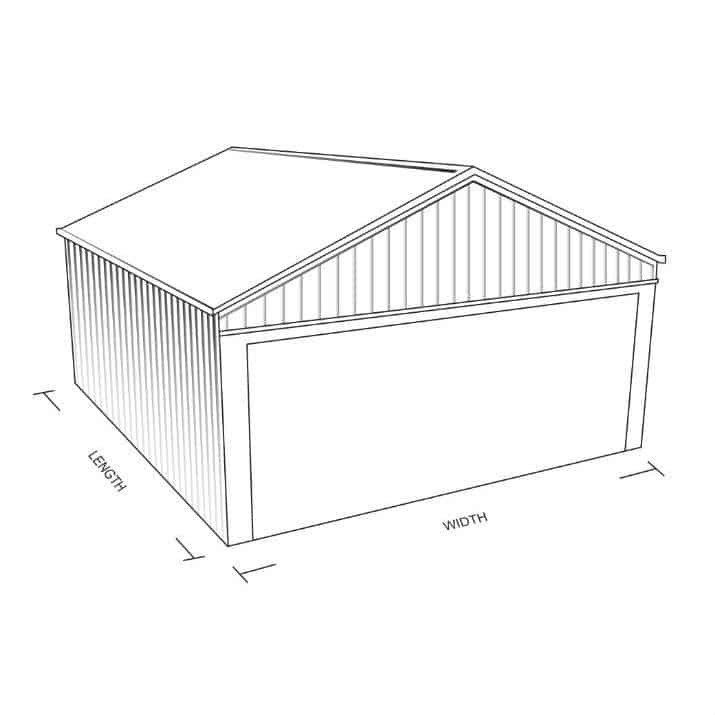 (If the roof sheets are to be sent to site there may be a large truck or semi needing access). Please stipulate if 4WD is necessary to access the site. It is the purchaser’s responsibility to make sure there is sufficient fall from the Gutters of premises to the tank. (Tank wall height CT Range 2.27m, HGT375 3.45m). Check with Local Shire / Council – It is the purchasers responsibility to check with local Shire / Councils with regards to building licenses, building envelopes and any bylaws. The guttering on your roof is also a key component in your rain harvesting system and will need to be cleared of any leaves or debris. Damaged guttering should be repaired. Sometimes guttering may also need to be adjusted to direct the water to the corner of your house where the tank is installed. Step 5: Which style of wall profile do I want? Heritage Water Tanks offers a choice of streamline or corrugate profiles, with no difference in price or quality. Understanding that people like choice, we’ve introduced a new corrugated tank that offers an iconic Australian look, with all the same benefits of superior quality and innovative features. Step 6: What colour rainwater tank would I like? 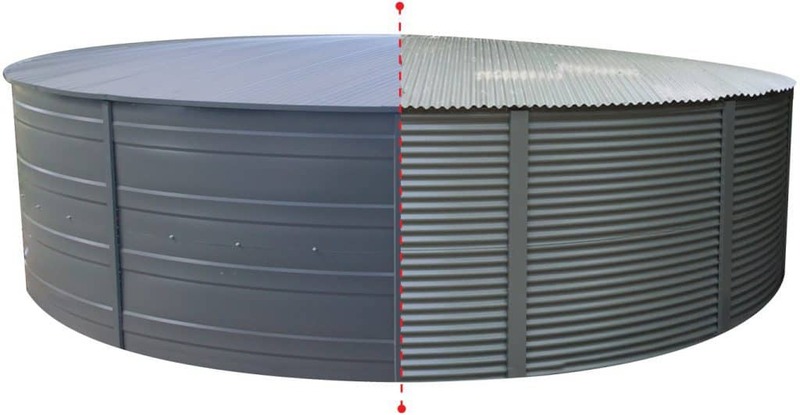 We know that the look of your rainwater tank is important.Heritage Water Tanks offers you a wide range of COLORBOND® colour options, to help your tank to blend into the scenery. If you prefer a more traditional rural look, the ever popular ZINCALUME® is also available. The COLORBOND® steel colours shown here have been reproduced to represent actual product colours as accurately as possible. However, we recommend checking your chosen colour against an actual sample of the product before purchasing as varying light conditions and limitations of the printing process may affect colour tones. COLORBOND® colour names are registered trademarks of BlueScope Steel Limited.™. Step 7: When do I want to install my rainwater tank? Step 8: How do I prepare the site for my rainwater tank? Correct site preparation is essential to ensuring a stable site for your rainwater tank. Pad Preparation Guidelines The preparation of the base pad is the responsibility of the customer. Our preferred base material is free draining sand. It must be free of sticks, stones and clay lumps. If you have to cut or fill the site, ensure adequate compaction of the sub soil to avoid subsidence. The pad must be level to +/- 10mm. Guide to preparing pad: Use of a Laser Level is preferred. Mark level points around circumference of pad and across centre then level sand across pad by screeding to these points. Correct site preparation is very important, as it may affect your warranty if done incorrectly. More information about preparing your site can be found within our Pad Preparation Conditions. Step 9: What happens on the day of installation? 100mm of water must be supplied by the purchaser to be placed in the tank (350mm for 3 ring tanks). This must happen on the day of installation to secure the liner and stop it from any future movement (If no water is supplied, this will void your warranty). In high wind areas 200mm of water is required (500mm for 3 ring tanks), please see Pad Preparation Conditions for volumes of water needed per tank. Blue metal, (¾“ or 20mm), must be placed around the base of the tank following installation, 75mm thick x 400mm off the wall of the tank around the total circumference. This is designed to stop erosion from water run off or strong winds. If prior arrangement of the placement of the fittings has not been made, then someone will need to be on site to explain where the fittings need to be placed on the tank on the day of installation. Full payment must be made on the day of installation.